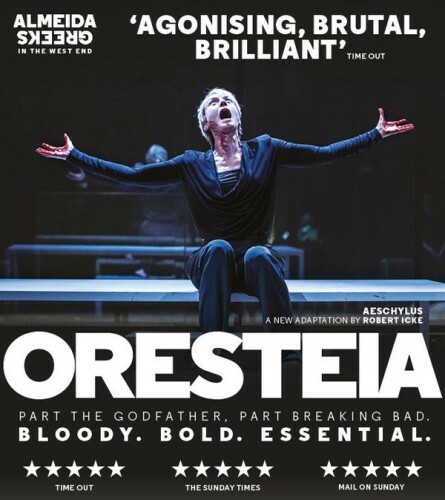 I was quite drunk the first time I ever encountered the Oresteia, Aeschylus’ family bathtub-drowning-revenge-stabbing-dynastic-betrayal-murderfest trilogy. For about ten years, every January a group of us would rent a big house in Derbyshire for a weekend and read through some plays. When we did the Oresteia, I was one of the chorus: it was the first play of the weekend, on a Friday night, and I may have wilfully misinterpreted what kind of libation, exactly, the Libation Bearers were bearing, like whether or not it was a raspberry daiquiri, and whether it was being borne to, say, Agamemnon’s grave or, for example, my mouth.